The Series has three Base models, the CoolX 600, 600W containing up to 4 modules with up to 8 outputs, the CoolX1000 , a 1000W unit with slots for 6 modules/12 outputs and the CoolX 1800 which offers 1800W of power over 6 modules and up to 12 outputs. There are a wide range of modules from single outputs covering from 2.5V to 58V, dual outputs, high power, and wide trim variants. 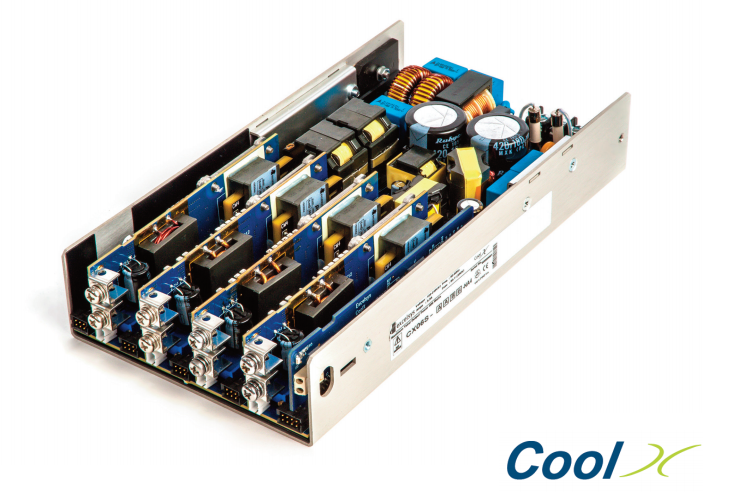 The only fanless modular power supply on the market, the CoolX Series offer system designers best in class performance for efficiency and reliability in addition to the most comprehensive feature set and specifications available.